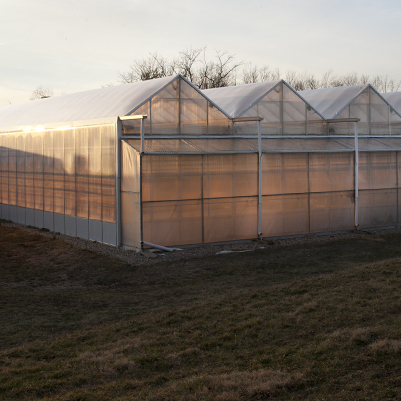 A 13,650 gross-square-foot (gsf) greenhouse was constructed at the Botany Field site. The construction features a metal-frame structure with a polyethylene sheet covering placed on a poured slab-on-grade. A pole barn-type construction provided a 4,800 gross-square-foot support building with a metal roof and siding. This project required utility service and demolition of an existing structure.